The NAK. 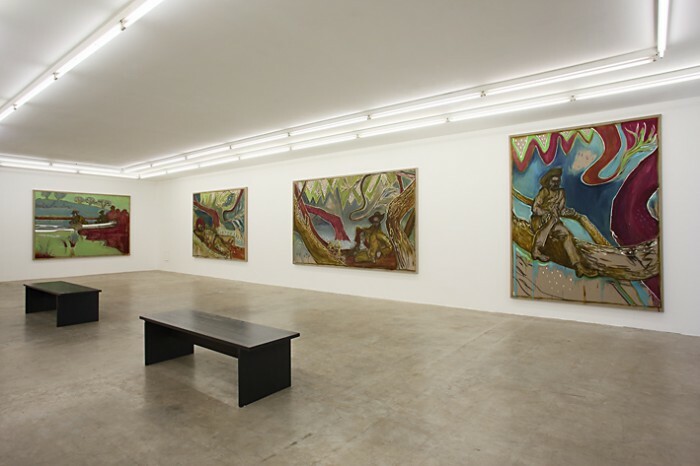 Neuer Aachener Kunstverein is pleased to present the exhibition Paintings Sweet Paintings by artists Billy Childish and Matthias Dornfeld. 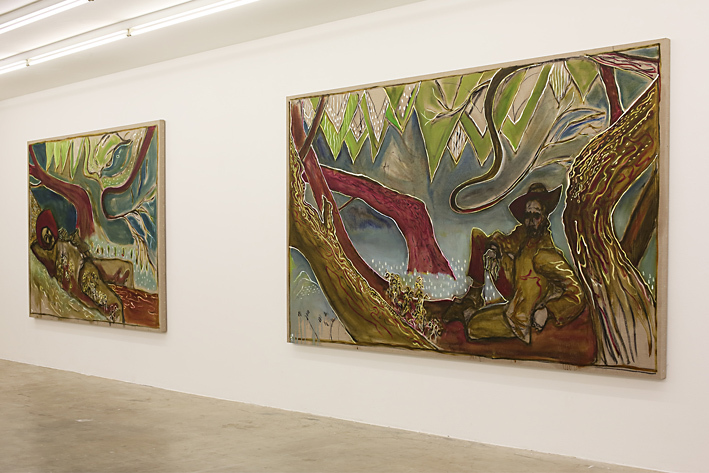 In the idiosyncratic nature of their painting, the artistic positions of Billy Childish and Matthias Dornfeld can be read as current examples of the “revitalization of the mythic belief in ‘painting,’” as Isabelle Graw briefly described in 2011. Their works are conspicuously marked by a persistent lack of concern for recent painting’s major antagonisms, which traditionally arise from the varying approaches of discursive-contextual and subjective-authentic painting. In such a context, however, it would be an oversimplification to classify the works of both artists here based solely on their prevailing choice of classical genres or apparent references to the formal canon of the early modernist period. Much more important, by contrast, is their taking of a positively unaffected stance toward the theoretical and practical deconstructions of the medium of painting to the benefit of a compelling affirmation of their own painting principle. Only in the context of this background do their works ultimately take on an idiosyncratic character that constantly oscillates between well-known familiarity and anachronistic outlandishness, decorative aesthetic and existential earnestness, or artistic traditionalism and artistic outsider-ness. Continuing in this vein, Berlin artist Matthias Dornfeld presents in the exhibition Paintings Sweet Paintings a selection of works that can be read—not least because of their overarching motifs, the different time periods in which they were created, and their spatial arrangement—as a loose genealogy of their longtime preoccupation with the realm of female portraiture. 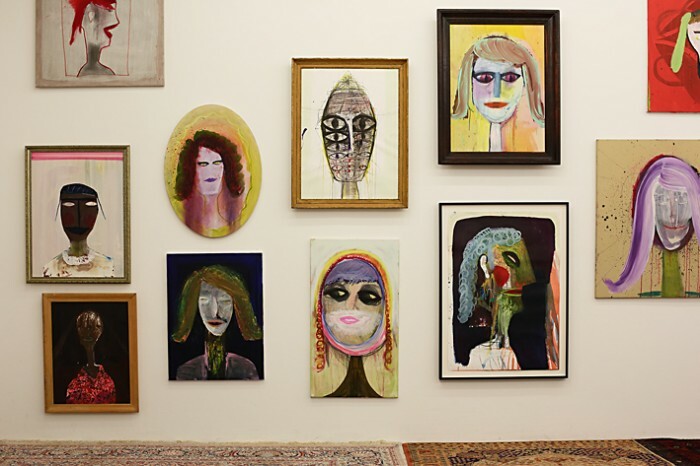 Dornfeld’s paintings not only operate in the tradition of classical pictorial genres but his works—whose mask-like quality not infrequently recalls the paintings of Jawlensky—often also generate a visual aesthetic characteristic of earlier approaches to naïve expressive painting. Yet, although his pictures initially convey this kind of expressive impression, Dornfeld’s works ultimately demonstrate that they are more acutely ensconced in the inventive pictorial strategies of analytical abstraction—ones reflecting painting’s genuine methods. In creating his works, he employs a process of continual layering and overpainting as well as the use of complementary colors and an open-ended interplay between line, surface, and form. Dornfeld is less concerned with producing an expressive gesture in paint than he is with bringing forth a reality intrinsic to painting in which the borders between abstraction and figurative visual elements are productively blurred and achieve formal harmony. 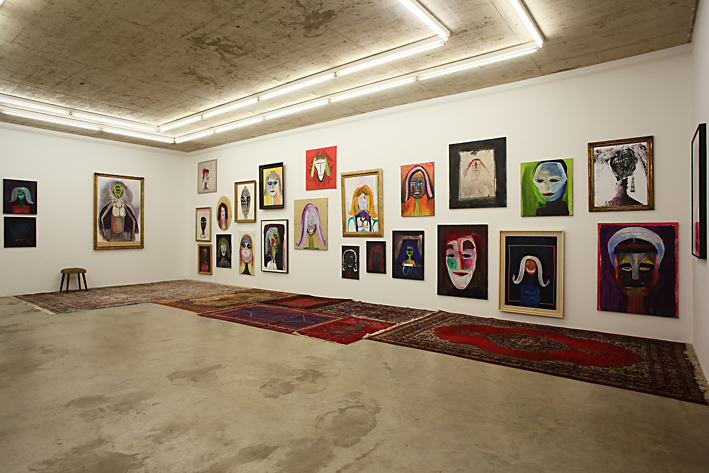 In connection to this very approach, what’s unique about Dornfeld’s portraits is therefore also never restricted to the supposedly recognizable physiognomy of the human, but always arises, in a consistent pictorial manner, out of the physiognomic structure of the images themselves. In contrast, British artist Billy Childish presents in the exhibition several works from his Willow Tree series of paintings, each of which are—and here the recurring references to the historical setting of Kroonstad serve as the crucial contextualizing clue—inspired by original photographs of the British-South African Boer Wars of the late nineteenth-century. If, upon first view, the pictures superficially operate in the genre of landscape painting, the ever-recurrent similarity between the figures depicted and the artist’s own image also opens up an inherent closeness to portraiture. However, the often typical reliance of Childish’s pictorial language on the pioneering paragons of early artistic modernism—ones already deeply anchored in visual memory—can not only be traced in his formal style that recalls the expressive grammar of Edward Munch’s late works and the colorful intensity of Karl Schmidt-Rottluff’s paintings, but is also reflected in his pictorial worlds that incorporate the magical atmosphere of Peter Doig’s work. Not least, however, based on his past artistic affiliation with the Stuckists, hidden behind Childish’s expressive-painterly gesture is not a simple traditionalism or even retrogradism, but one that proves to be a conscious and quasi conceptual taking of a critical anti-stance toward the ceaselessly shifting modes of contemporary art. At the same time, it is these attempts—not always free of contradictions—at critical (self-) positioning that also run like a recurrent theme throughout the musical and literary output of Billy Childish’s entire body of work. In its current status between kitsch and human admission of desire, the well-known phrase “Home Sweet Home” is often as disconcerting as it is appealing. The allure of the works featured in Paintings Sweet Paintings is also fueled by a similarly contradictory dynamic. In the context of art theoretical debate, they can be labeled all too easily as mere eclecticism or kitschy naiveté. But what they are capable of fulfilling instead—and from different directions so to speak—is an unbroken passion in genuine forms of exploring the world through paint, or in other words, simply a tenacious revitalization of the mythic belief in painting. Isabelle Graw, “Das Versprechen der Malerei. Anmerkungen zur Medienunspezifik, Indexikalität und Wert,” in Über Malerei: Eine Diskussion, eds. Peter Geimer, Isabelle Graw (Berlin: August Verlag, 2012), pp. 15-38, p. 45.